Did you ever see the movie, “Big Night” with Stanley Tucci and Tony Shalhoub? It was released in 1996, and to this day is one of my favorite foodie movies. 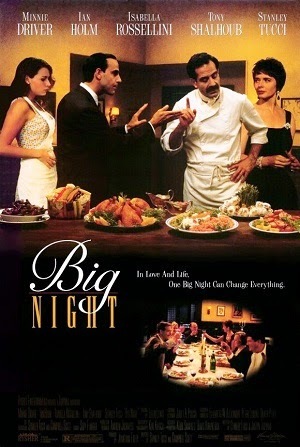 In a nutshell, “Big Night” is about a failing Italian restaurant (in NJ) run by two brothers (from Italy) who gamble on one special night to try to save their business. Without going into great detail, or spoiling the ending, the two brothers prepare an amazing Italian feast fit for royalty. Tucci, an actor, director, and passionate cook, was recently diagnosed with a gluten intolerance – meaning that this pasta-loving Italian would have to give up some of his favorite dishes. Luckily, he found quinoa to be a suitable substitute. With his wife Felicity Blunt, the two have created a cookbook, “The Tucci Table: Cooking with Family and Friends”. 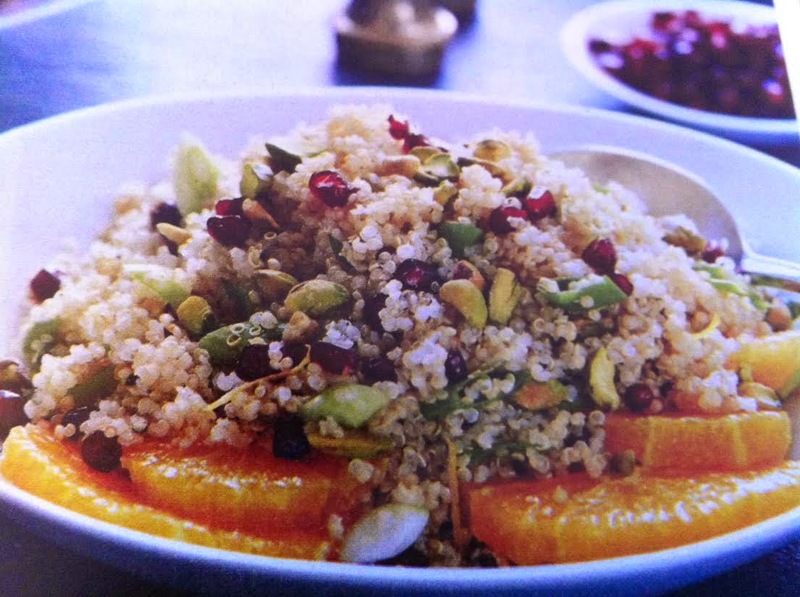 In the October-November issue of AARP magazine, Tucci shared a recipe, 'Quinoa with Pomegranate and Pistachio', a gluten-free Thanksgiving recipe, which I now happily share with you. 2. Bring 4 cups salted water to a boil. Add quinoa, reduce heat to low, cover, and simmer for 15 to 20 minutes. 3. Prepare a dressing with the 2 Tbsp. EVOO, lemon juice, salt and pepper. Place quinoa in a serving bowl. Toss with the dressing; set aside to cool. 4. Gently mix in the pomegranate seeds, pistachios and scallions. Taste and adjust seasonings, if necessary. Serve with sliced oranges drizzled with olive oil, if desired. This sounds amazing! I am going to try making this as soon as possible!